i do agree to the astrological calculations given by Pathakji. Besides that we must also see the numerological total of birth of State Uttrakhand is on 09.11.2000 (9+1+1+2+0+0+0=13=4 number of rahu). 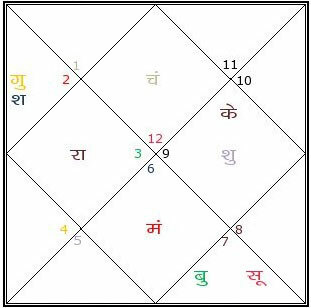 Hence, nature number of uttrakhand is 9 (Mars, again a paap grah) & destiny number 4 of rahu, the combination of both the planets is not considered to be good. 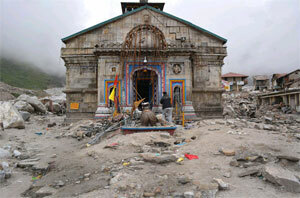 The total calculation of UTTRAKHAND also comes to 7 the number of Ketu, which is also a paap grah. 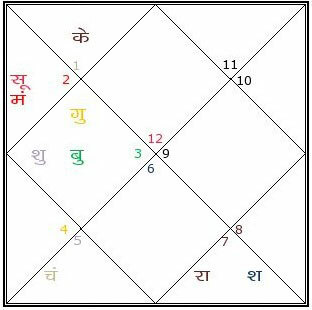 On the day of disaster, Uttrakhand's destiny number rahu sitting with shani at 8th house, exposed the pre-desitined fate of the state and thousands of people lost their lives due to this one of the biggest natural calamities.